Whoever is the director of the broadcast of this game should be fired. In the middle of a Toronto Blue Jays at bat against the Texas Rangers, the broadcast crew decided to discuss a controversial call the night before on a slide by LA Dodgers, Chase Utley, who broke the leg of Rubeen Tejada who was trying to turn a double play at second base. Despite there being action on the field the broadcasters went on and on about the incident and even did an interview about the play. Not between innings but while there were hits and plays being made on the field. 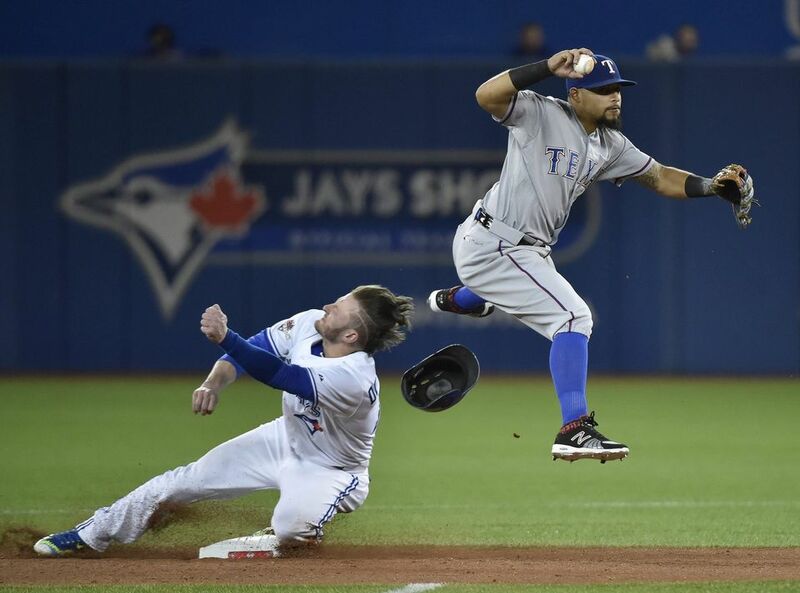 I guess the broadcasters and directors must have unhappy at having to cover a non American team in the playoffs, and would have preferred to be doing the other series.It was an insult, not only to Toronto Blue Jay fans, but also to Texas Ranger fans. We are not second class teams. We made the playoffs. Pay attention to the game you are supposed to be covering jerks!